Each day I will feature around 5 authors and introduce you to their books. Go ahead and follow them all now, they are entries for the contest! Following a horrendous breakup with his two (and three) timing fiancee, Oregon naturalist Dr. Kent Xavier has sworn off women, all women. He heads out into the Deschutes wilderness to brood, alone, but his solitary trip turns into a midnight rescue mission for a damsel in distress. Lured by the beauty of planet Earth, Povre disobeys strict orders to remain in camp in favor of a moonlight walk. A bad step on a slope of loose rocks lands her in the very predicament she’s supposed to avoid: contact with the dominant native lifeforms. Forced together by mutual need, Kent and Povre soon find themselves on the run from alien-hunting government agents. Along the way these two scientists from very different worlds discover the most important element of all – love. T.M. 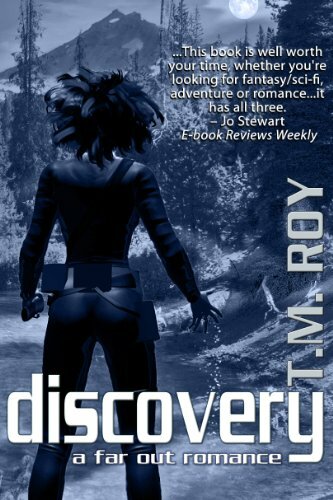 Roy (writing as Terran Moffat) weaves a fun and lighthearted blend of romance, adventure, and science fiction sure to leave a smile on your face. A paranormal investigator becomes the subject of her own investigation after stumbling into the crosshairs of a malevolent spirit. 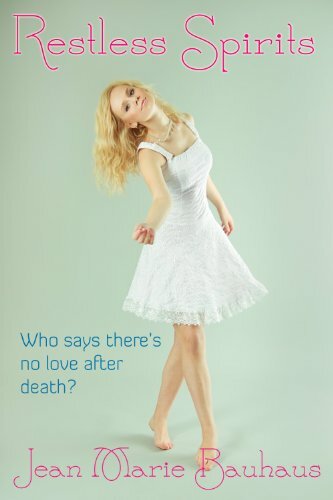 Finding herself a ghost and imprisoned in a house that’s haunted by the spirit’s other victims from across the ages, Veronica “Ron” Wilson discovers an afterlife that’s full of surprises, the biggest of which is that ghosts can still fall in love. Veronica “Ron” Wilson wakes up dead and discovers she’s in for the fight of her life. A paranormal investigator in life, Ron was setting up for a ghost hunt in the spookiest house in town when she found herself the one being hunted. Now she’s trapped in the house along with a bevy of other ghosts — including an axe-murderess and the family she killed, an old man who just wants to go be with his wife, and a handsome handyman whose past seems more haunted and mysterious than the house they’re imprisoned in — all of them victims of a malevolent, murderous spirit. Refusing to accept this as her afterlife, Ron rallies the other ghosts to gang up on their captor and fight for their freedom. But how does a ghost fight a monster who can devour souls–especially when that monster has red pigtails and freckles and is cute as a button? 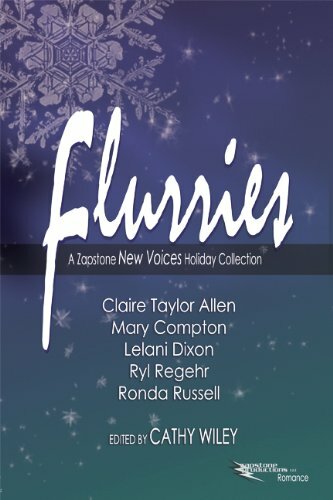 Zapstone Productions LLC introduces five new, unique voices in fiction. So get cozy and let these tales spice up your holidays–no shoveling needed! Be the first to read original stories by talented newcomers. Mary Compton–A Thanksgiving snowstorm results in a serendipitous encounter in “Once Upon a Flight Delay”. Claire Taylor Allen–Being stuck in Boston might not be all that bad for two displaced New Yorkers in “Snowbound”. Ryl Regehr–Gift-giving is difficult for most, but a mysterious stranger seems to know the perfect present in “Bringer of Gifts”. Ronda Russell–In “Where We Love”, a young couple worries that being so far from their families will ruin the holidays. But her celebration is cut short when she becomes the primary suspect for a real life murder. One of the sources she used while writing her novels has been shot, and Cassie is the last to have seen him alive. With her passion for research, she always wanted a firsthand view of the Baltimore City Police Department’s inner workings. She never dreamed she’d get that experience by being taken in for questioning as a suspect. 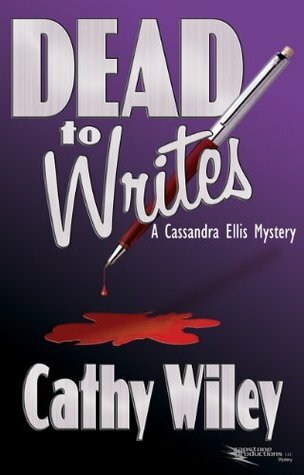 When another of her experts is murdered a few days later, she decides it’s time to investigate matters firsthand, much to the displeasure of James Whittaker, the homicide detective assigned to the case. Before more friends die… or before Cassie herself is targeted. 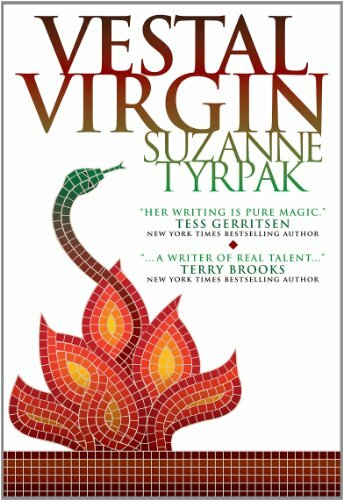 Elissa Rubria Honoria is a Vestal Virgin–priestess of the sacred flame, a visionary, and one of the most powerful women in Rome. Vestals are sacrosanct, sworn to chastity on penalty of death, but the emperor, Nero, holds himself above the law. He pursues Elissa, engaging her in a deadly game of wits and sexuality. Or is Elissa really the pursuer? She stumbles on dark secrets. No longer trusting Roman gods, she follows a new god, Jesus of Nazareth, jeopardizing her life and the future of The Roman Empire. Remember to follow me to find out about great books and contests!